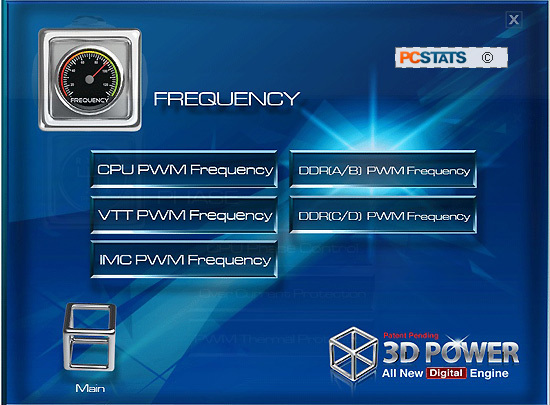 The state of overclocking has been advanced a fair bit with the Gigabyte GA-X79-UD5 motherboard. 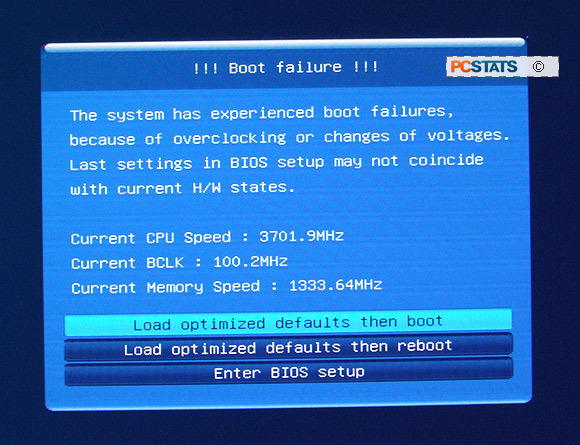 While the board lacks a Port 80 card, thanks to a new dual UEFI BIOS, the system is smart enough to auto-recover from bad overclocks that would previously have required a tap of the Clear CMOS button. Gigabyte have also added an instant overclocking "OC" button to the back panel which is supposed to boost system speed easily. In PCSTATS tests we saw mixed results from the OC button; I wouldn't recommend using it. Below the OC button on the rear I/O panel is a blue and green button which lets you switch between the main and backup UEFI BIOS. The Clear CMOS reset button is recessed into the rear I/O just below these two. During PCSTATS tests, we didn't have to clear the CMOS once; the GA-X79-UD5 was smart enough to auto recover from bad overclocks. In addition, Gigabyte continue to support overclocking controls via Easy Tune 6 from within Windows 7, as well via TouchBIOS. Voltage controls on the Gigabyte GA-X79-UD5 board are nothing short of extensive, thanks to a new set of controls wrapped up under the new 3D Power nomenclature. 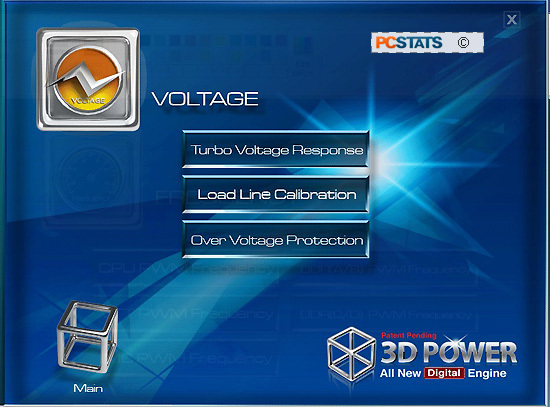 There are more voltage controls available to the user in 3D Power than we know what to do with! Voltage options are separated into three categories; PWM Frequency, Voltage Response/Calibration/Protection and Phase Control. Next up, a look around the Gigabyte 3D BIOS - a part of the Gigabyte GA-X79-UD5 package that PCSTATS did not have much fun interacting with.